McKenna Brooks is very pretty. She has blue eyes and caramel-colored hair. Her family includes her mom and dad, her five year old twin sisters, Masiey and Mara, her grandma, Cooper her dog, and Polka Dot her hamster. She is a gymnast on level 4 and on track for the competitive team in the spring. 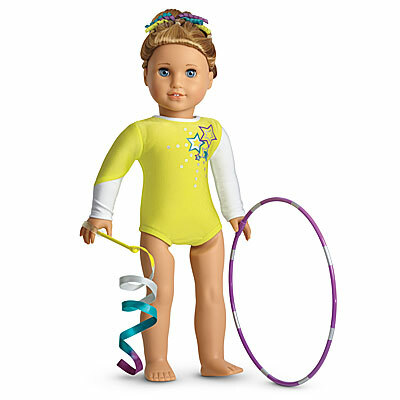 Her team is called Shooting Star Gymnastics, and her coach is named Isabella. McKenna breaks her ankle in the gym during a little show for the parents. It takes three months to heal, which throws her off track a little in her gymnastics. In the end of book two, McKenna, Ready to Fly!, McKenna makes the competitive team with Tulane Thomas, her best friend, and Sierra, another friend from gymnastics. Tulane dropped off the team because her mom pushed her too hard in gymnastics and decided to do rhythmic gymnastics instead, so Sierra got to be on the competitive team. Mckenna has trouble with reading comprehension, so she got a tutor. Her tutor’s name is Josie. Josie is in a wheel chair, but really wants to go horseback riding. McKenna becomes friends with Josie and is there when Josie decides she wants to ride a horse. McKenna, Tulane, and Sierra get in a fight because McKenna does not tell Tulane about her tutor; she keeps it a secret and then lies about it because she is embarrassed. When Tulane and Sierra find out, they are really mad. Tulane won’t even speak to McKenna for a few days! A few weeks before Josie went to the horse riding stable for kids with disabilities, McKenna had told Tulane that she was getting her cast off on Friday. Instead, she got it removed on Saturday so she could go with Josie to the riding stables. Tulane was very angry. At the end of book two, McKenna, Tulane and Sierra make up and become friends again. 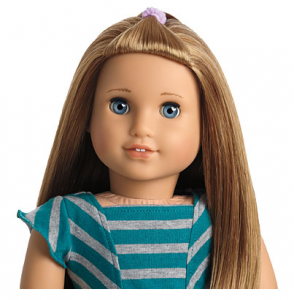 Thank you for reading my blog, please tell me about your American Girl Dolls below. I love comments! Nice job, Kenna! Congrats on starting your blog! Is she a good doll? I love your website!!! Great job Kenna!!! Hey Kenna! You should write some posts on Saige, Addy, Pitufa, and Josefina… it would also be cool to see one about Kirsten. Just some ideas:) Say hi to Sam, Grace, McKenna, Felicity, Kaya, Hannah, and Kit for me!